Deutsche Bank will pay $2.5 billion to settle charges it conspired to manipulate global interest rate benchmarks, U.S. and U.K. regulators announced Thursday. The U.S. Justice Department said that DB Group Services, a subsidiary of the German bank, agreed to plead guilty to wire fraud. 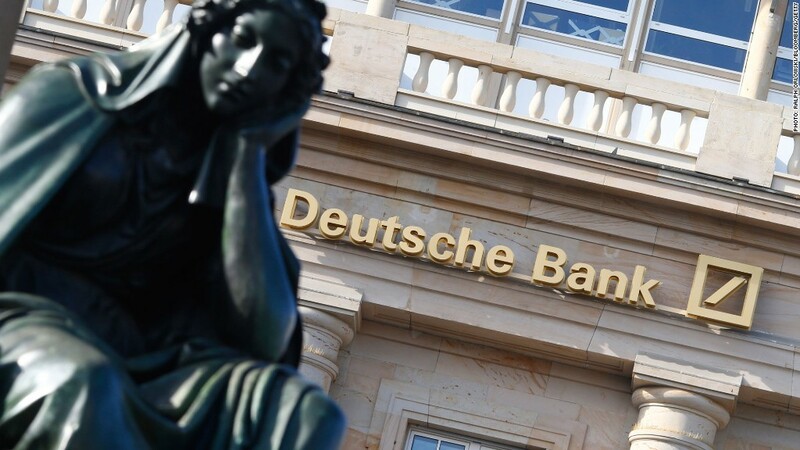 However, the Justice Department said it entered into a "deferred prosecution" agreement with Deutsche Bank over its role in the scheme, meaning that the charges will be resolved without admission of guilt by the parent company. Deutsche Bank (DB)and its subsidiary will pay $800 million to the U.S. Commodities Futures Trading Commission; $775 million to the U.S. Justice Department; $600 million to the New York Department of Financial Services, and £227 million to the U.K. Financial Conduct Authority. The authorities said Deutsche Bank employees manipulated the London Interbank Offered Rate, or Libor, the Euro Interbank Offered Rate, or Euribor, and the Euroyen Tokyo Interbank Offered Rate, or Tibor. Those obscure benchmarks are used to determine interest rates on trillions of dollars in financial products around the world, from home loans to complex derivatives. Regulators said Deutsche Bank derivatives traders conspired to move the benchmarks in a direction that would benefit them financially, at the expense of the bank's clients and trading partners. "Deutsche Bank secretly conspired with its competitors to rig the benchmark interest rates at the heart of the global financial system," said U.S. assistant attorney general Bill Baer. "Deutsche Bank's misconduct not only harmed its unsuspecting counterparties, it undermined the integrity and the competitiveness of financial markets everywhere." Regulators released several examples showing how Deutsche Bank traders would ask for the rates to be fixed. In one message from 2005, a Deutsche Bank trader asked a fellow bank employee, "can we have a high 6mth libor today pls gezzer?" The employee responded: "sure dude, where wld you like it mate ?" Deutsche Bank said in a statement that it accepts the regulators' findings and plans to set aside an additional €1.5 billion to cover legal costs in the first quarter. "We deeply regret this matter but are pleased to have resolved it," said co-CEOs Jürgen Fitschen and Anshu Jain. "This agreement marks another step in addressing the past and ensuring that the Bank earns back the trust of its clients, shareholders and society at large." Many of the employees involved in the scheme have been terminated, disciplined or have left the company. But the New York Department of Financial Services says several high-level employees who engaged in the misconduct are still working at Deutsche Bank and has ordered the company to terminate them. "We must remember that markets do not just manipulate themselves: It takes deliberate wrongdoing by individuals," said NYDFS superintendent Ben Lawsky. Thursday's settlement is part of an ongoing and coordinated investigation into interest rate manipulation by the world's biggest banks. The scandal broke in the middle of 2012 when British bank Barclays admitted trying to manipulate Libor, which cost CEO Bob Diamond his job. The Justice Department has settled similar charges with five other banks, including Barclays, UBS (UBS), The Royal Bank of Scotland (RBS), Rabobank and Lloyds Banking Group. -- CNN's Clare Sebastian contributed to this report.